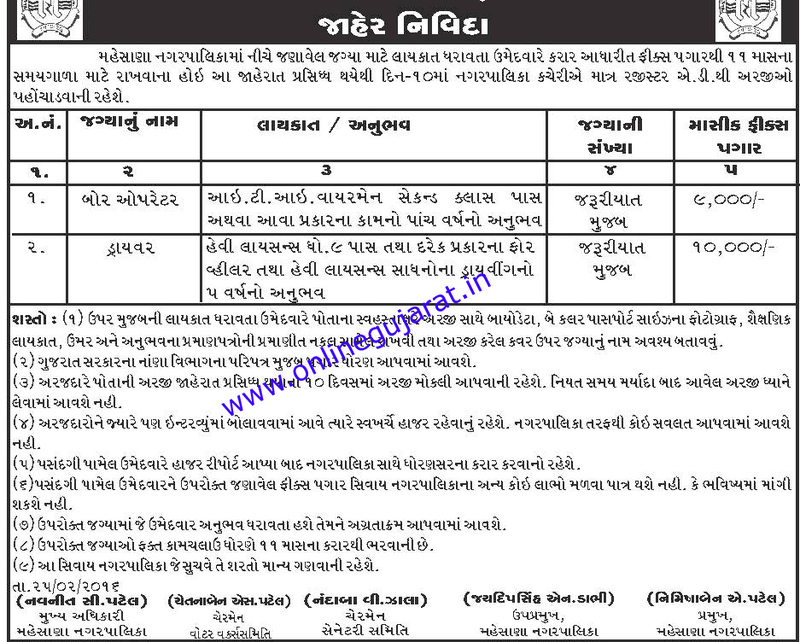 Mahesana Nagarpalika published notification for recruitment for various posts . Eligible candidates may send their application With xerox copies of all necessary certificates , to given below address. (send by Registered AD).